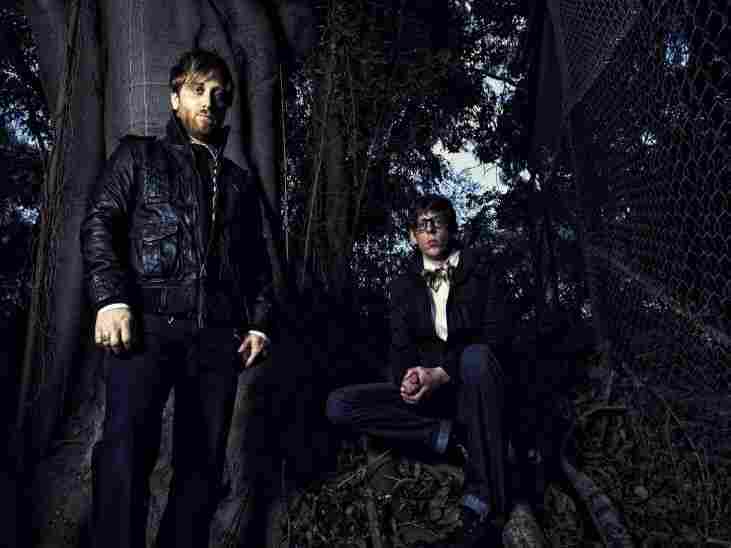 The Fresh Air Interview: The Black Keys' Dan Auerbach And Patrick Carney Dan Auerbach and Patrick Carney of The Black Keys join Terry Gross for a discussion of their musical influences, their recent album Brothers and why Stephen Colbert recently accused them of "selling out." 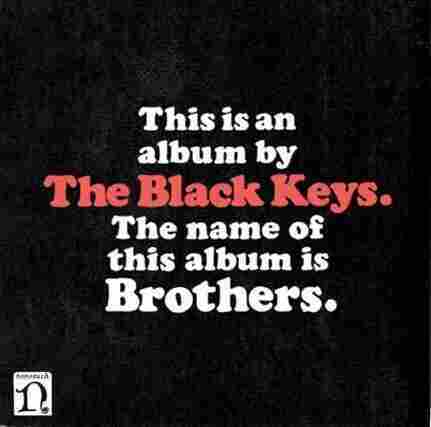 Dan Auerbach and Patrick Carney, who make up the band The Black Keys, recently joined Fresh Air's Terry Gross for a discussion of their musical influences, their 2010 album Brothers and why comedian Stephen Colbert recently accused them of "selling out." That last statement probably requires an explanation. "The only way to tell which band has more edgy, non-commercial appeal is to see which band got their songs in more commercials," Colbert said. Auerbach and Carney squared off against Koenig by naming the commercials that had licensed their music — Hewlett Packard, Zales, Victoria's Secret and Tommy Hilfilger, to name a few — before Colbert called the contest a draw and declared that both bands had "equally whored out [their] music." But that claim — even if it was said in jest — is somewhat misleading, Carney says. "A lot of people see a Nissan ad and they see a finished product in a record store or on iTunes and that's the face of the band," Carney says. "What they don't see is that we made [Brothers] in a cinderblock building in the middle of nowhere in Alabama, with five microphones and a guitar amp and a drum set. I don't know what that means, exactly, but I do know we didn't spend a lot of money making this record, and it's an honest way of approaching making music. And once the music is out there, when you're selling a record and selling music and people are going to do whatever they want with it, it's kind of hard to resist certain opportunities, especially in the record market now." In fact, Carney says he and Auerbach initially turned down several opportunities because they were worried about appearing like they'd sold out. "The first offer we ever had to have a song in a commercial was from an English mayonnaise company, and they offered us a lot of money — crazy money," he says. "Especially at the time, it was insane." "We got this offer for more money than both of our parents make in a year combined," Auerbach adds. But a manager advised them to pass, telling them that commercializing The Black Keys' songs would alienate their entire fan base and ruin their careers. "We're hearing this, seriously, as we're driving around in a 1994 Plymouth Grand Voyager that smells like pee," Carney says. "And going home to our modest apartments, and we were scared. We were 23 years old. So we passed on it." At a certain point, Carney says, they decided to license "Set You Free" for one Nissan ad, just to see what would happen. "It's helped us immensely," Auerbach says. "Before 'Tighten Up' [from Brothers], we'd never had a real song regularly played on rock radio. We didn't have that support, and getting these songs in commercials was almost like having your song on the radio." Auerbach and Carney formed The Black Keys in 2001. They were initially active in Akron, Ohio's underground music scene, and released their first two albums — The Big Come Up and Thickfreakness — after recording tracks in Carney's basement. "I had this fascination with four-track recorders when I was in high school," Carney says. "And that's how the band started. Dan was just starting to play guitar, and I was just starting to get into this four-track recorder I bought. And Dan knew I had a drum set I couldn't play. And our brothers encouraged us to get together and jam." That was in the late '90s. Several years later, Carney bought a digital recorder and invited Auerbach and a band over to record in his basement. "Dan came over and the rest of the band didn't show up," he says. "And we decided to just record some stuff anyway. That day we made a six-song demo and we sent it around and got our first record deal." Many of the tracks they created, like the songs featured on later albums, had catchy little hooks. "We really like really repetitive hooks, because that's what Dan and I grew up listening to," Carney says. " Dan grew up listening to blues, and I grew up listening to classic rock. But we both kind of bonded mostly over Wu-Tang samples and hooks of Stax Records and old soul records." "We really like really simple kind of hooks that become hypnotic," Auerbach adds. "When you start to do the simple thing over and over again, and then it sort of gets ingrained in your mind and draws you in — that's the sort of things we've always been into."